Have you ever got into deep despair or felt extremely helpless when you accidentally lost your iPhone contacts, text messages, photos, or other important data? If the answer is yes, I suggest you turn to the Bitwar iPhone Data Recovery, which will certainly eliminate your trouble. Bitwar iPhone Data Recovery – a well-reputed and high-efficient iPhone data recovery software, designed to rescue all your lost data under various tough circumstances. 1. Accidental deletion or iOS upgrade failure, like new iOS 11 update issue. 2. Device damage, but it can be recognized while connected with PC. 3. Device locked but forget the password. 4. Jailbreak failure, device stuck at white Apple logo or recovery mode. 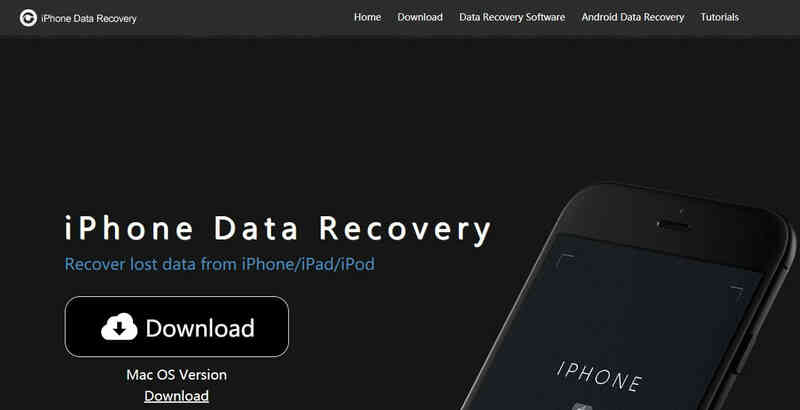 If you have a iTunes backup and you want to recover data from your backup，with iPhone data recovery software, you can restore them easily Without overwriting other data. When both itunes and Bitwar iphone data recovery are installed, start the Bitwar iphone data recovery program and connect your iPhone to the computer. Select the default recover mode "Recover from ios Devive". Start the Bitwar iphone data recovery program and connect iPhone to the computer with a USB cable. Select the recover mode "Recover from iTunes Backup File" and select the backup file which you want to recover data from. If the backup file is not displayed, You can manually find your backup file by click “Browser...” . After you selected the backup file,the program will jump to the Select File Types page automatically. You can select one or more file types, or select “Select All” by default, click “Start Scan”. The program will begin scanning itunes backup to find all the existing and lost data. When the scan is finished, all found data are displayed in categories in the left panel, like recover from ios Devive. You can find and preview them ,Finally, select out all the iOS data you desire and get them back with one click on "Recover" button. Here you need to specify a folder to save the recovered files on your computer. As you can see, no matter which mode,it is easy enough to recover deleted data from iphone with Bitwar iPhone Data Recovery. Now, download this powerful program to recover your data? Previous：How to recover deleted text messages on iPhone? Next：how to recover lost data from ipad?